Chances are that anyone who is interested in tech knows that most Apple products, especially the iPhones, iPods and iPads are made at the Foxconn factories in China. The manufacturing company has been the source of various controversies over the last couple of years, most of which referring to the poor conditions that the workers were forced to work in. To put things better into perspective, in the years of 2010-2012, Foxconn has been in the media spotlight due to the fact that a large number of workers from there commuted suicide because of the unbearable conditions that they were forced to live with on a daily basis. Not only did the employees have campuses in the facility, but they also had long working hours of basically doing the same thing over and over again, while also not being rewarded enough for their work. Because of this, many began to lose their minds and commit suicide. After a couple of deaths, the factory even decided to install equipment meant to protect the workers from committing suicide. Not only this, but the salaries of the workers were also raised quite a lot, which served as an incentive and helped many of them continue working. Over the last couple of years, the conditions have improved, but the amount of work that needs to be done has also increased exponentially. Because of this, reports indicate that Foxconn will proceed to go ahead and open some new facilities. To do so, they are currently talking terms with the Indian government, where some facilities will be opened. With this in mind, Foxconn is sending a delegation of their officials over to India in order to discuss more with the government about the possible plans and the building of these facilities. Reports indicate that the company is planning to open up around 10-12 facilities over in India, which include both factories, but also data centres. Unfortunately, at this moment in time, we do not really have a lot of information about this, but Foxconn has declared that the target date for all of these factories to be open would be by 2020, which is now less than 5 years away. Once this news came out, many people have begun wondering why Foxconn would do such a thing, and move from China, which is basically a huge cheap market, where a wide variety of products are currently being developed. Well, regardless of the fact that China is now the world’s biggest economy, there are also certain economic problems that they have to deal with. One of this is the growing wage inflation, which has made the production costs somewhat larger. By making a move to India and still producing some other products over in China, Foxconn will definitely lower the production costs, hence allowing them to make a lot more money. Not only this, but Foxconn factories are also popular for the insanely large amount of employees that they have. With this in mind, their move to certain regions of India will supply a vast number of jobs in a country where the unemployment rates are quite high. Together with this, they will also offer motivational salaries which will improve the standard of life, and give a good sum of money in taxes to the government, which will then be able to invest in order to increase the overall standard of life throughout the country which holds the world’s second biggest population. Another reason why Foxconn would like to move here is the fact that it is backed by Apple to do so as well. Studies have shown that doing so will increase the influence of Apple products in third world countries from all around the world, but especially in India, where Apple products are often seen as too expensive for anyone to have, which makes them not popular at all. However, thanks to the fact that the factories will move to this country, Apple will get access to a large market that no other companies have too much influence over at this moment in time. 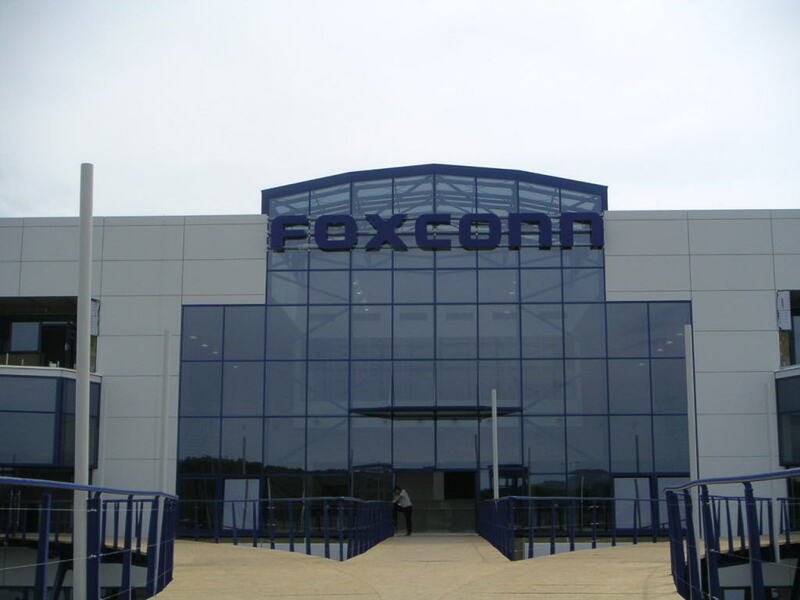 Based on everything that has been outlined so far, if Foxconn goes ahead and does things right, while also making sure that the standards of work for their employees rise, that good salaries are being given and that the working hours aren’t too long, then chances are that the firm will have great luck in India as well, while also providing thousands of jobs for people from all around the country. What do you personally think about Foxconn creating 10-12 facilities here? Do you believe that this will increase the influence that Apple products have in this country as well? If this happens, will Foxconn go ahead and open up some new factories in other countries as well, as its business expands? Together with this, do you think that Apple has any influence on where these factories are opened and Foxconn’s business operations? This represents a question that has been on the minds of many Apple fans from all around the world and we would like to find out more about this idea, so kindly let us know what you believe.